When it comes to the boy-group Highlight, the member that usually comes up in the general public’s mind is either Yoseob for his noteworthy vocals, Doojoon for his acting ability in the series Let’s Eat, or Gikwang, who is a multitalented performer. However, Highlight also has a member who’s a hidden gem, Son Dong-woon, who’s not only good-looking, but also skillful in his fields. Considered as an underrated member, Dong-woon consistently improves his skill and abilities in music, acting, and hosting. Besides being an idol, Dong-woon is also an academic genius who’s studied in prominent institutions such as Dongguk University and Konkuk University, proving that he can balance his work and educational life. In this article, Channel-Korea will explain all about Son Dong-woon, starting with his personal profile, his fun facts, his plastic surgery, the list of his songs, drama, musical shows, and variety shows, his album Prelude, his abs, his fashion style, and his Instagram feed. So, keep reading! As has been explained in his personal profile earlier, Son Dong-woon was born in 1991. 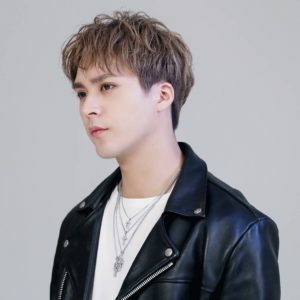 According to the Korean Age System, in 2018 Dongwoon’is 28 years old, and only 27, according to the International Age System. Besides Dongwoon, there are other Korean female and male idols who were born in 1991 as well, such as INFINITE members and former member Woohyun, Sungyeol, and Hoya, MAMAMOO’s Solar, SHINee’s Key and Minho, Apink’s Park Chorong, and former KARA member Nicole. On the other hand, Son Dong-woon is considered a tall and slim guy, as his height is 181 cm, whereas his weight is 64 kg. Dongwoon was a trainee of JYP Entertainment for 2 years. He said that one of his most memorable experiences during his training with JYP was when he drank off a faucet with 2PM’s Jun K.
Among Highlight members, Dongwoon has the least ability with sports. Dongwoon really loves playing the piano, and he usually practices it alone. One of Dongwoon’s wishes regarding the piano is that he wants to sing a soft ballad while playing the piano under a soft pink light. Besides the piano, Dongwoon also plays the violin. Dongwoon is shy around the camera. Even so, he is the mood maker of the group, as he loves to make people laugh. Dongwoon likes to read science fiction. His favorite author is Bernard Werber. Highlight members thought that Dongwoon was the weirdest member when they’d just debuted. Dongwoon said that he feels the most confidence when he wears a school uniform. 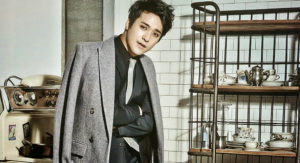 Dongwoon’s role model is his father, Son Il-rak, who is a professor of International Manners at Cheongju University. Besides his father, Dongwoon also looks up to Wolverine (a fictional character). Dongwoon uses a small Guess wallet that he received from his mother. Dongwoon said that he likes naturally cute girls, but isn’t really a fan of those who use aegyo (cute acts). In addition, he likes wise girls whom he can be comfortable with, and will understand him. 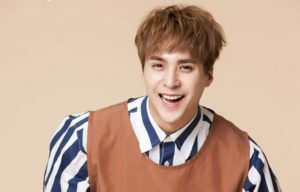 Dongwoon confessed that he was once rejected by a girl during high school. Dongwoon picks friendship over love. Dongwoon’s favorite cologne is The Body Shop’s White Musk. 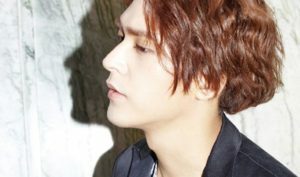 Dongwoon is acknowledged for his mixed facial features. He is proud of it, and especially likes it when people call him the Arabic Prince. Dongwoon will always try to find things to do because he can’t just sit and do nothing. As a result, the rest of the Highlight members get annoyed because they’re already tired and need to rest. Well, perhaps this is why he would always find time to organize fan letters in the dorm, and gives them to the correct members! Dongwoon said that he was once the loneliest member of the group because he was the last person to join the lineup. In his early days, Dongwoon loved to dress in bohemian style. He was often mistaken for Jack Sparrow by fellow Highlight member Junhyung, who’s also mistaken Dongwoon as the older member due to his mixed looks. Dongwoon’s favorite food is chili crab. Dongwoon’s favorite idol is the Taiwanese group, SHE. Dongwoon matured quickly, hence his nickname as the Male God. 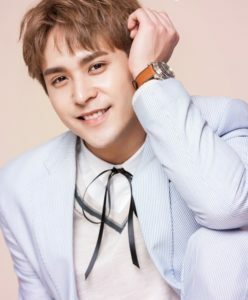 Did Highlight’s Son Dong-woon Do Plastic Surgery? When it comes to appearance, Son Dong-woon has something that he unsatisfied with. In June, 2014, the broadcast of MBC Every1’s Burning the BEAST aired. It was stated that the youngest member did not like his eyes, “They (the eyes) are so deep so I get stressed a lot because when the light falls on me, it casts a shadow”. In addition, Dongwoon has also been teased by the rest of the members for looking like a ghost. However, Gikwang encouraged Dongwoon by saying that a lot people would have plastic surgery to get Dongwoon’s V-line jawline. When he was invited to be a guest in Mnet’s Dirty Talk, the public finally learned the truth about Son Dong-woon’s plastic surgery issue, as the singer denied having any. The subject came up when one of the MCs, Kim Gu-ra, looked at Dong-woon’s face and said that Dongwoon is really good-looking and somehow resembles actor Lee Pil-mo. Moreover, another MC, Yoo Se-yoon, asked, “Your nose is quite a masterpiece. Is that your (real) nose?” to which Dongwoon replied, “I did not touch my face at all. At that time, they called me the Wonbin of Gangdong District”. Looking at the picture above, we can tell that Son Dong-woon was indeed born with the natural attractiveness that’s be on a par with actor Won Bin!